What is it like to be an Influencer Activations Manager at IMAGEMOTION ? You will have the opportunity to work on some cool accounts, mainly in the lifestyle, fashion and beauty, National and internationally renowned brands. You will be supported by our project coordinator and our content team, as well as our business development team. Your role will be to take lead on social media accounts of our clients. 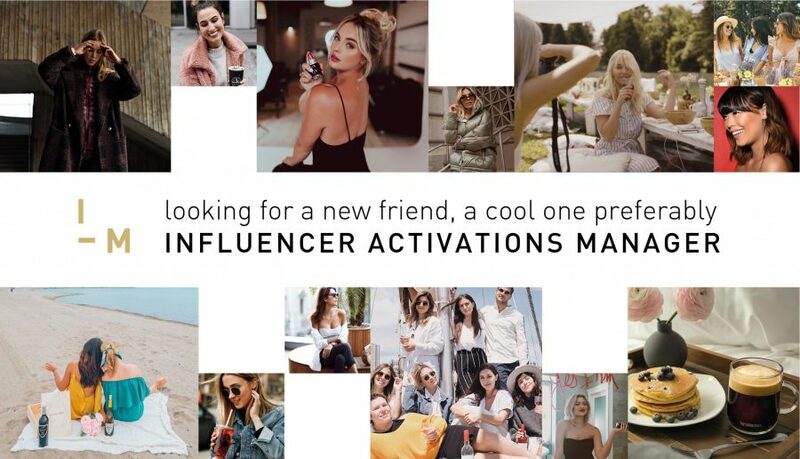 Do you have experience working with influencers? Have you participated in the organization of any press trips or influencer events? How many posts or stories would you say you’ve engaged within the past 24hrs? What’s your go-to image filter app? Who is your favorite food influencer? When and what was the most recent event you’ve attended? Your playlist on rotation in the office?